Why Join the Smoke-Free Housing Initiative? More property owners and management companies are implementing no-smoking policies for rental housing to meet the demand of non-smokers looking for smoke free housing. Even in apartment units where no one smokes, residents can still be adversely affected by secondhand smoke that drifts through walls and ventilation systems. Children are particularly sensitive to the toxins and chemicals in secondhand smoke, many of which are proven carcinogens. This map shows the location of commercial apartment properties in Sedgwick County that have implemented or are in the process of implementing a smoke-free policy that applies to at least one residential building. This list is not all-inclusive and is based on TFW’s annual smoke-free apartment survey. Please contact the leasing agent for more details. Why is TFW reaching out to property owners and management companies to provide smoke-free housing? How does secondhand smoke enter an apartment? Secondhand smoke can come into your apartment in multiple ways. Secondhand smoke does not respect boundaries; drifting smoke seeps through ventilation systems, light fixtures, wall electric outlets, plumbing, ceiling crawl spaces, and doorways into all areas of a building with smokers. Secondhand smoke cannot be controlled by ventilation or air cleaning. Is it legal to ban smoking? Absolutely! Smokers are not protected under fair housing laws. And if you ban indoor smoking, you are not required to establish outdoor smoking areas, although some property owners do. Just make sure they are far away from doors and windows, as well as traffic areas where residents and children are passing through. Or consider making your entire grounds smoke-free. What are the benefits of going smoke-free? Less damage to walls, floors and counter tops from smoke residue and burning cigarettes. Quicker turnaround and lower cleanup costs between tenants: Cleaning a smoker’s apartment is tough and expensive work, requiring repainting, cleaning carpets, walls, appliances, etc. A competitive advantage – you’ll be able to attract quality tenants who appreciate a smoke-free environment. Reduced risk of liability: When tenants’ health is affected by other smokers, you’re a potential target for litigation. Fresher-smelling and healthier air for everyone. I’m interested in learning more about Smoke-Free Housing. What should I do? The Smoke-Free Housing Initiative works to help support property managers who would like to adopt smoke-free policies. Smoke-Free Housing Initiative members have developed a helpful Smoke-Free Housing Initiative Toolkit Portfolio 2018of resource materials that can be tailored specifically for each apartment complex. 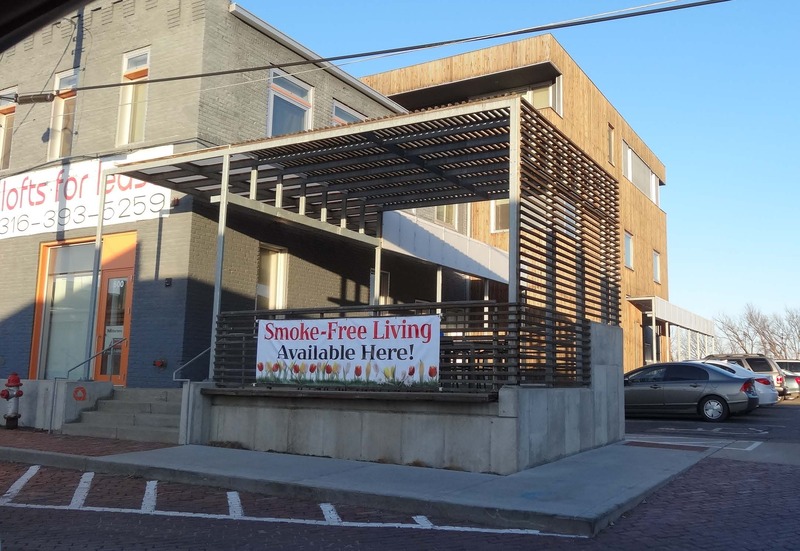 I’d like some advice on setting up a motion to make the Hillcrest Apartments (115 S Rutan, Wichita, KS 67218) completely smoke free in the near future. We are a housing cooperative in that all residences are also stockholders. We have an annual meeting each year in February. At this annual meeting, most of the stockholders are present. I’d like to have a motion presented so that a majority of the stockholders can vote on it to be entered into our bylaws. Any suggestions or help you can offer will be appreciated.